Rumors comes true, Yes! Gadget Giant Apple launches iPad mini tablet which is smaller version of original iPads. The iPad mini also called fourth Generation tablet which is 23 percent thinner and 53 percent lighter than the third generation iPad. iPad mini features the same number of pixels as the original iPad and iPad 2, so you can run more than 275,000 apps designed specifically for iPad. iPad mini features dual-band 802.11n Wi-Fi support for speeds up to 150 Mbps,³ which is twice the Wi-Fi performance compared to previous iPad models. iPad mini comes in three different storage capacities(16GB, 35GB, 64GB) with two models called iPad mini with Wifi and iPad mini WiFi + Cellular. iPad mini WiFi + cellular models prices are higher than iPad mini with WiFi. Apple iPad mini will be available on retail and online stores from November 2, 2012. 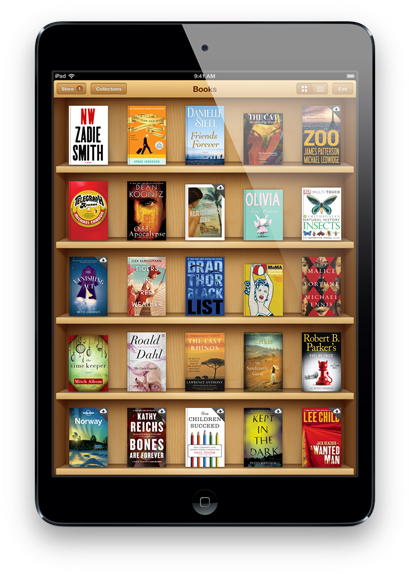 Apple offers customers can Pre-order iPad mini from October 26 through Apple online Store.